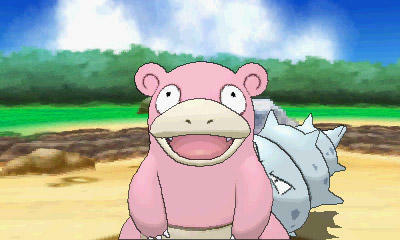 Pokémon Omega Ruby and Alpha Sapphire Have a Mega Slow Mega Slowbro, Bro! 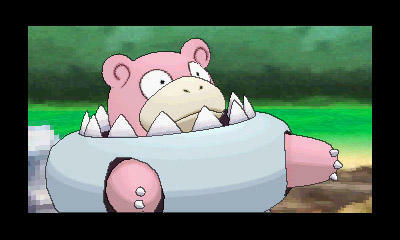 Get ready for the Mega Pokémon nobody ever expected! 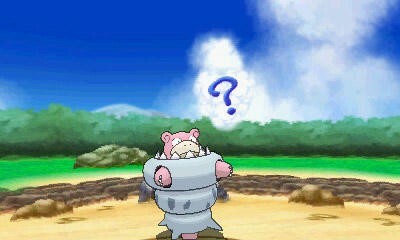 Nintendo and The Pokémon Company have confirmed the existence of Mega Slowbro in the upcoming Pokémon Omega Ruby and Alpha Sapphire at the Pokémon World Championships. The jokes have all been made about how he looks like a ridiculous top wearing a Cloyster as a pair of pajamas. 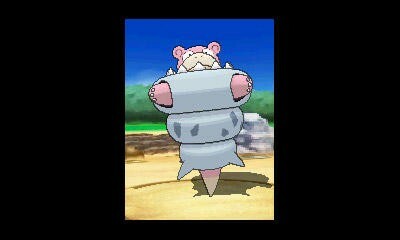 I’m just going to come out and say that I’m happy a Pokémon I actually recognize is getting the Mega Pokémon treatment, even if I never exactly made the most use of him during my Pokémon heyday. He’s a bro I can connect with on a nostlagia factor, unlike the other Johnny Come Latelies from the previous announcement. Great choice considering he was often seen as a joke Pokémon thanks to his dopey face and silly name. It is almost equally as humorous that he now has hidden ultra potential to unlock under his dense skin. If we want to talk joke Pokémon, I’m still waiting for my Mega Farfetch’d and Mega Psyduck. Or a Mega Magikarp that’s stronger than Gyarados. Pokémon Omega Ruby and Alpha Sapphire will be released for the Nintendo 3DS on November 21st.